Famous American Newspaper New York Times has also said that no allegation against Chief of Jamat Ud Dawa Hafiz Saeed is proved by Indians regarding his involvement in 26/11 Mumbai attacks. Indian officials are declaring Hafiz Saeed the Mastermind of Mumbai attacks but they are not able to provide any proof against Hafiz Saeed and the Dossiers they provided to Pakistan Government not contains any proof but just Information. 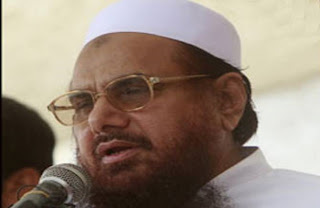 New York times has said that Court clearly said in its Judgement that it is proved that Hafiz Saeed or Lashkar Taiba is involved in Mumbai attacks while Pakistan is also demanding proofs against Hafiz Saeed from India. Ajmal Kassab was declared main Criminal of Mumbai attack by Indian Special court and Court will announce his punishment on 6 May 2010.